Did you know that in the old days people used wood to sharpen their knives on? Yes there are many things in the outdoors that can be used to sharpen and polish the edge with. On this picture you can see a simple leather sharpen/polish device that I made with some simple left-over materials. Good quality leather glued on a wooden base. With this I can polish the edge on SAKs if I want to and I can use it for other knives. When I flip it around I can use the flat wooden surface as well. 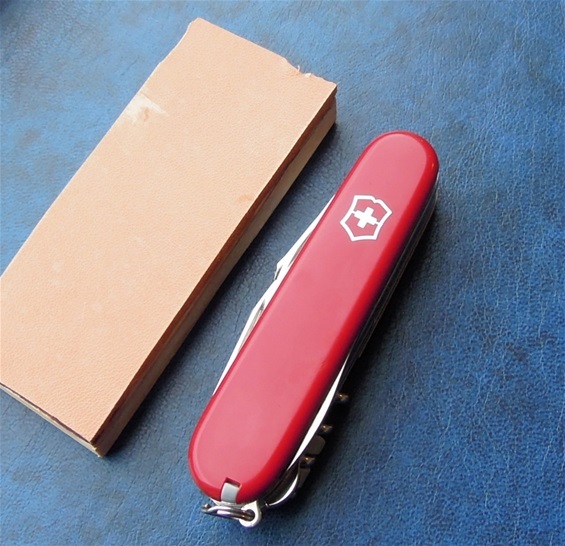 In the outdoors there are many stones that can be used to sharpen knives with. Today it is pure luxury when it comes to sharpening devices in shops that people can buy or get. It can be smart to know what can be found in the nature too.